The prints I have for sale here on my website all have the option of being printed on three different mediums. Here are explanations of all three to help you better understand the products. These explanations have been adapted from our print houses’ website. 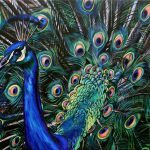 A Gallery Wrapped Canvas Prints are professionally produced on museum grade canvas/poly material. Each gallery wrapped canvas giclée is coated with a water resistant spray that allows you to display your gallery wrapped canvas print without glass. 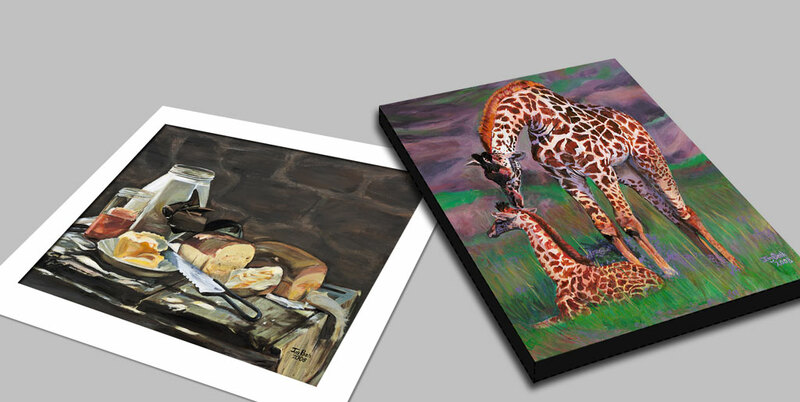 Our gallery wrapped canvases come stretched on 1 1/2″ stretcher bars with mounting hardware attached – ready to hang. 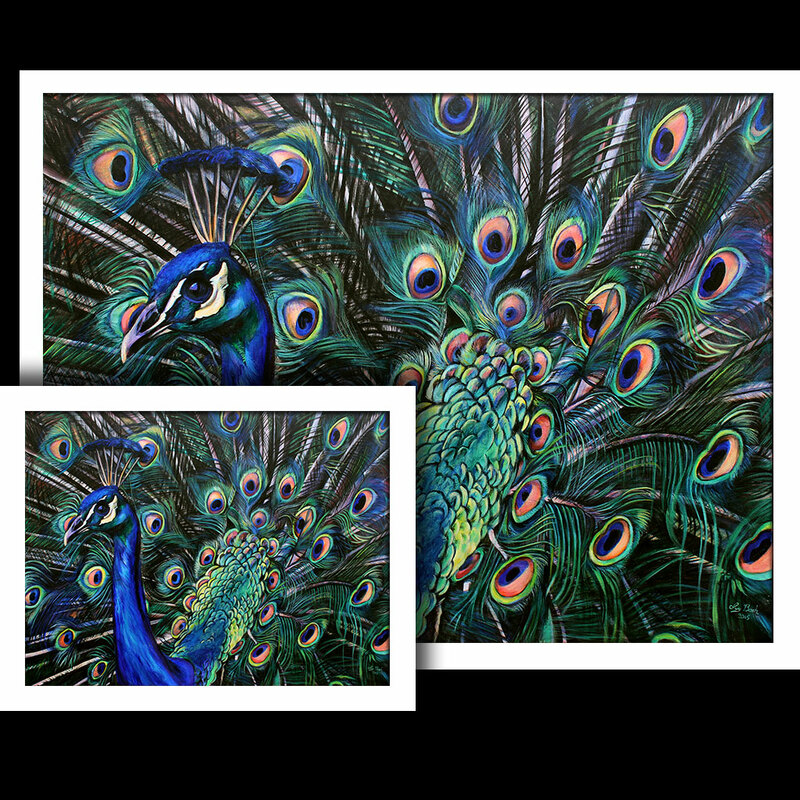 Fine Art Paper Prints are printed on Somerset Velvet which is the finest textured paper our print house offers and is a 100% acid free heavyweight cotton rag fine art paper with a textured radiant white velvety surface. Provides vivid color reproduction and rich black tones. Archival museum quality and a light fastness rating of 100 years. 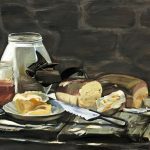 Somerset Velvet is a 255 grams per square meter cold press paper. What is a Lumira™ digital photo print? A Lumira print, a trademarked product of our local Art Print House, is a digital photographic print made from a digital file using a ZBE Chromira 5x printer and Fuji Crystal archive paper. Lumira digital photo prints are notable because of their exceptional sharpness, color saturation and color accuracy. Giclée (pronounced Zhee-Clay) is derived from the French word “gicler” which means “to squirt, to spray”. A giclée print is produced by specialized large format inkjet printers using archival inks and high quality archival canvas or fine art paper. The process is relatively new having its beginnings in the 1990’s when an IRIS inkjet printer was modified to make high quality photographic prints on watercolor paper. Now a variety of printers can be used to create giclée prints, including the industry standard Epson wide format printers which we use. The Epson 11880 printers use the proprietary UltraChrome K3 ink set which includes Cyan, Light Cyan, Magenta, Vivid Magenta, Vivid Light Magenta, Yellow, Photo Black, Matte Black, Light Black, and Light Light Black. The combination of these colors on the canvas and the wide array of archival papers provides long-lasting prints displaying vivid colors, rich subtle tones and detailed blacks. Because these inks are watercolor pigment based, the prints made with them on archival paper can last from 70 to over 100 years without showing signs of noticeable fading.